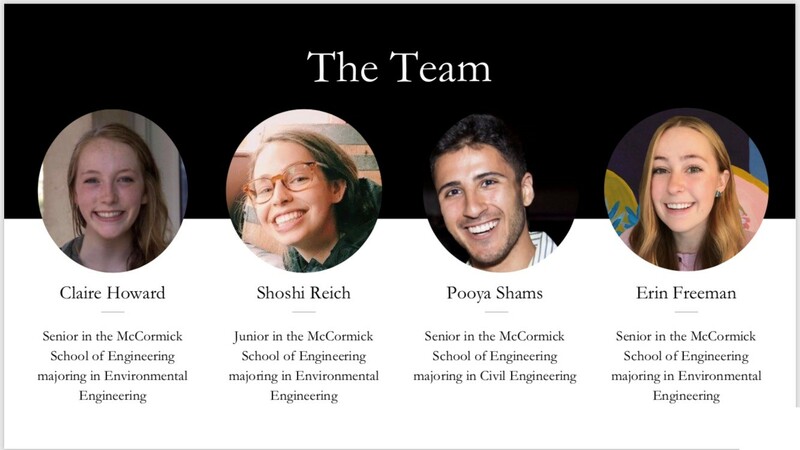 Since January 2018, Civil and Environmental Engineering students Erin Freeman, Claire Howard, Shoshi Reich, and Pooya Shams have been working with the Natural Resources Defense Council (NRDC) to address how aging drinking water infrastructure poses serious risks to public health around the country and more importantly, what can be done about it. The group assisted NRDC in studying violations to the Safe Drinking Water Act and were particularly interested in lead exposure due to the prevalence of deteriorating lead service lines. Erin, Claire, Shoshi, and Pooya were all enrolled in Professor Kimberly Gray’s Community-Based Design class, but they worked in close collaboration with Dr. Kristi Pullen-Fedinick and environmental attorney Mae Wu, both at NRDC in Washington, D.C., to understand local problems around lead in drinking water in order to develop meaningful strategies and policies to replace lead service lines more uniformly throughout the United States. The students researched lead service line replacement techniques, financing options, and barriers to successful replacement. They identified a number of helpful case studies around specific cities and regions to better understand both successful and limited approaches to lead service line replacement. This collaboration provided the NRDC team with greater technical knowledge and also expanded the students’ understanding of the need for safe, equitable and lasting action to eliminate the threats of lead exposure through drinking water infrastructure.